In comparison to traditional production of energy by using fossil fuels, the demand for renewable energy is increasing constantly due to the negative effects of fossil fuels on the environment, increased public awareness and the fact that fossil resources will be exhausted someday. As a renewable energy source, wind energy is an economically feasible, environmentally clean, popular and reliable way of energy production. This study determined twelve geographical factors, the effects and weights of these factors were determined by considering the relevant literature and field conditions, and various analyses were conducted on these factors with the help of geographical information systems (GIS). As a result of the analyses, the most suitable establishment locations for wind energy stations were determined for the province of Balıkesir. The resulting map was divided into four classes based on their suitability (somehow suitable, moderately suitable, suitable and highly suitable). The classes were distributed as highly suitable by 12%, suitable by 29%, moderately suitable by 36% and somehow suitable by 23%. A . Azizi, et al., “Land suitability assessment for wind power plant site selection using ANP-DEMATEL in a GIS environment: case study”, Environ Monit Assess, (2014). A .Memduhoğlu, et al., “Determining the Areas to Build Wind Turbines Using GIS – Multicriteria Decision Analysis: Davutpaşa Campus” (RüzgarTürbiniKurulacakAlanların CBS – ÇokÖlçütlüKararAnaliziKullanıarakBelirlenmesi: DavutpaşaKampüsü), V. UzaktanAlgılamaveCoğrafiBilgiSistemleriSempozyumu (UZAL-CBS 2014), 14-17, İstanbul (2014). A . N. Çelik, A Statistical Analysis of Wind Power Density Based on the Weibull and Rayleigh Models at Southern Region of Turkey. Renewable Energy, 29,593-604, (2004). A. Bennui, et al., “Site Selection For Large Wind Turbine Using GIS”, PSU-UNS International Conference on Engine erring and Environment - ICEE-2007, Phuket May 10-11, Prince of Songkla University, Faculty of Engineering Hat Yai, Songkhla, Thailand, (2007). A. Nobre, et al., “Geo spatiall multi criteria analysis for wave energy conversion system deployment”, Renewable Energy 34, 97-111, (2009). B. Moiloa, “Geographical Information Systems for Strategic Wind Energy Site Selection”, VrijeUniversiteit, Amsterdam, Netherlands, November (2009). C. Crill, et al., “A GIS driven approach to Siting a Prospective Wind Farm in South Central Wisconsin”, Geography 565, (2010). C. Oksay, “The Importance of Wind Energy in Scope of Sustainable Development and Incentives for Wind Energy Investments in Turkey” (SürdürülebilirKalkınmaÇerçevesindeRüzgârEnerjisininÖnemiveTürkiye’deRüzgârEnerjisiYatırımlarınaYönelikTeşvikler), NiğdeÜniversitesi İİBF Dergisi, Volume: 7, Issue: 1, pp. 76-94 (2014). 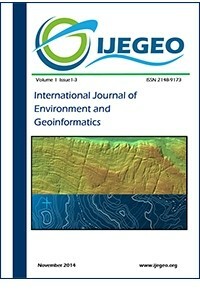 E. Chamanehpour, “Site selection of wind power plant using multi criteria decision making methods in GIS: A case study”, Computational Ecology and Software, 7 (2), 49-64, (2017). E. Özşahin, Ç. K. Kaymaz, “The Importance of Wind Energy in Scope of Sustainable Development and Incentives for Wind Energy Investments in Turkey” (SürdürülebilirKalkınmaÇerçevesindeRüzgârEnerjisininÖnemiveTürkiye’deRüzgârEnerjisiYatırımlarınaYönelikTeşvikler), TUBAV BilimDergisiVolume: 6, Issue: 2, 1-18, (2013). The Ministry of Energy and Natural Resources, Directorate of Renewable Energy (EnerjiveTabiiKaynaklarBakanlığı, YenilenebilirEnerjiMüdürlüğü), REPA, http://www.eie.gov.tr/yenilenebilir/ruzgar.aspx (Date Accessed: 05.02.2018). İ. Aydın, “Wind Energy in Balıkesir” (Balıkesir’deRüzgârEnerjisi), DoğuCoğrafyaDergisi 29, 29-50, (2009). M. Asadi, M. Karami, “Locating of Wind Power Farms by Analytic Hierarchy Process Method (Case Study: Sistan and Baluchistan Province, Iran)”, Scientific Research Publishing, Computational Water, Energy, and Environmental Engineering 6, 41-55, (2017). M. Çalışkan, “Turkey’s Potential for Wind Energy and Current Investments” (TürkiyeRüzgarEnerjiPotansyeliveMevcutYatırımlar”, RüzgarEnerjisiveSantralleriSemineri), RüzgarEnerjisiveSantralleriSemineri, İstanbul, (2011). M. Farajzadeh, et al., “The Wind Energy Potential Zoning Using GIS And Fuzzy Mcdm Based Approach; Study Area: Zanjan Province-Iran”, 3rd International Geography Symposium - GEOMED 2013 Symposium Proceedings, ISBN: 978-605-62253-8-3 (2013). M. Narin, “Energy Structure of Turkey and Priority Policies It Will Follow” (Türkiye’ninEnerjiYapısıveİzleyeceğiÖncelikliPolitikalar”, Asodosya Ankara SanayiOdasıDergisi,), Asodosya Ankara SanayiOdasıDergisi, 50- 68, August-September, Ankara (2008). N. Y. Aydın, GIS-Based Site Selection Approach for Wind and Solar Energy Systems: A Case Study from Western Turkey, Graduate School of Natural and Applied Sciences, Middle East Technical University, Master’s Thesis, June (2009). O. Öztürk, F. Sarış, Location Selection for Wind Turbines in the Province of Çanakkale with the Method of Geographical Information Systems (CoğrafiBilgiSitemleriYöntemiyleÇanakkaleİlindeRüzgârTürbinleriİçinYerSeçimininYapılması), ÇanakkaleOnsekiz Mart Üniversitesi, TUBİTAK Projesi, (2015).R. V. Haaren, V. Fthenakis, “GIS-based wind farm site selection using spatial multi-criteria analysis (SMCA): Evaluating the case for New York State”, Renewable and Sustainable Energy Reviews 15, 3332– 3340 (2011).S. M. J. Baban, T. Parry, “Developing and applying a GIS assisted approach to locating wind farms in the UK”, Renewable Energy 24, 59–71, (2001). T. Koç, “Wind and Environment in the Kapıdağ Peninsula” (KapıdağYarımadasındaRüzgârveOrtam), TürkCoğrafyaDergisi, Sayı: 31, 167-182, İstanbul (1996).Governorate of Balıkesir, the Republic of Turkey, the Provincial Directorate of Environment and Urbanization, 2015 Environmental Status Report for Balıkesir(T.C. BalıkesirValiliğiÇevreveŞehircilik İl Müdürlüğü, Balıkesir İli 2015 Çevre Durum Raporu, Balıkesir), 2016.